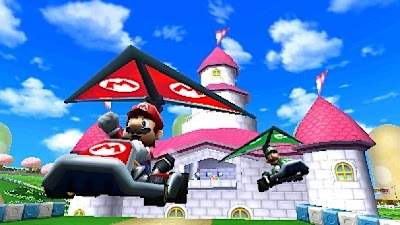 The inaugural "Mario Kart 7 Gaymer Night" that was held on Jan. 30 was such a success--and such a blast--that I thought I should schedule another. So, anybody who has a bit of free time this coming Monday night (Feb. 13) and who is itching to race against a slew of open-minded gamers should feel free to pop their heads into The Gay Gamer community starting at 7 pm PST/10 pm EST. In case you've yet to join The Gay Gamer community, here's the info you'll need to do so: 22-7203-7866-8075. No worries if you won't be able to participate this time around for whatever reason; more "Mario Kart 7 Gaymer Nights" are sure to follow in the coming weeks and months. I hope to be there! Maybe I can reclaim that top slot! I'll see if Robb can play, too! Hey there, Doug! Sorry, things have been crazy for me for the past month or two. Anyway, yes, I'm planning to hold another one soon. Maybe next week?